Exterior view of Maxwell Street. 1930s. 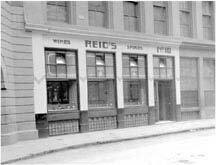 To read the full history of Thomas Reid and his empire of public houses Click Here. 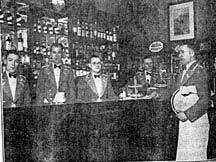 Interior view of Reid's, Maxwell Street. 1936.